The Tribeca Film Festival is a noteworthy film festival which takes place in the Tribeca, a neighborhood of Manhattan, displaying a diverse selection of independent films. Since its beginning in 2002, it has become a recognized channel for independent artist and filmmakers in all category, to present their work to a big audience. The Monte-Carlo Master is an annual tennis tournament for male professional players held in Roquebrune-Cap-Martin, France, a commune next to Monaco. The event is played by players who belong to the Professional Tennis Association. The match is played on terracotta courts, as by tradition. The Dubai Polo Gold Cup was founded in 2009 and it’s now a sequence of the famous premier Polo Tournament in the Middle East. The event is held by the Al Habtoor Polo Resort and Club and fascinates a big number of VIP from the Gulf area, high society personnel, celebrities and it’s sponsored by His Highness Sheikh Mohammed bin Rashid Al Maktoum. Antigua Sailing Week is a yacht regatta at Nelson's Dockyard, St. Johns, Antigua. It’s one of Antigua's most remarkable events. Founded in 1967, it is recognized as one of the top regattas in the world, and engages an average of 150 to 200 yachts, 1500 participants and 5000 spectators per year. There are five main races held in here, including the English Harbour race. At the end of the match week, the elegant Lord Nelson's Ball takes place and conclude the regatta with a proper celebration. Allow yourself to be pampered with the most famous shows and sports events and let us spoil you. 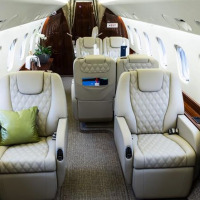 Fast private Jet can organize your private jet to New York, Montecarlo, Dubai and the Carribean, and our concierge service will recommend some extra treats, like show’s front row seats, exclusive gourmet dinners, special events and after-parties or celebrities meet ups. Our team is capable to provide the best experience for our customers. Our service is designed around your personal interest and needs. 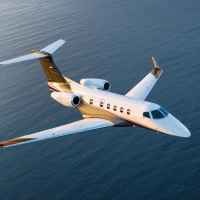 We can organize all aspects ad hoc, from private jet flight planning, accommodation and transportation arrangements, fine dining and entertainments for your free time.